TOTO nuevo disco "Toto XIV"
Frontiers Music Srl lanzará el 20 de marzo "TOTO XIV" en Europa, el 23 en Reino Unido y en Oceanía, y el 24 en América del Norte. Pronto se conocerán las fechas para otras regiones. Habrá diferentes ediciones, incluida una de lujo que contendrá un "making of" documental en DVD, libreto ampliado que incluye una entrevista sobre el nuevo álbum, junto a fotos exclusivas en formato "ecol-libro". Además Toto XIV estará disponible como doble vinilo, y en una edición limitada "Super Deluxe" que incluye el CD Deluxe / edición en DVD, doble vinilo, un póster exclusivo, una camiseta (de gran tamaño solamente), y litografía. El álbum estará disponible a través de todas las tiendas digitales. 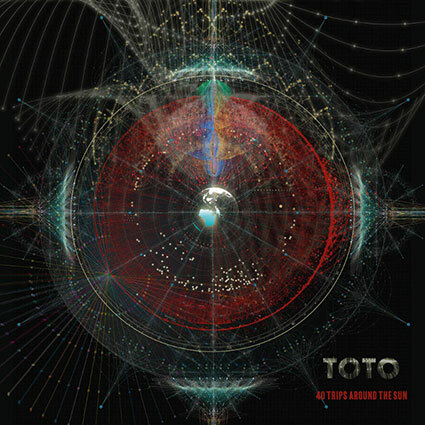 Frontiers Music Srl has announced a March 20 release date for TOTO XIV in Europe, with The UK and Oceania on 3/23, and North America on March 24. The album will hit retail globally, with specific dates for territories in Asia, South America and others to follow. Configurations include CD, with a deluxe edition available featuring a "making of" documentary on DVD, expanded booklet that includes an in depth story and interview about the new album alongside exclusive pictures in ecol-book packaging. Additionally Toto XIV will be available as a 2LP vinyl set, and a Super Deluxe limited edition which includes the Deluxe CD/DVD edition, 2LP vinyl, an exclusive poster, t-shirt (large size only), and lithograph. The album will be available via all digital retailers. A pre-order has gone live via Amazon for the LP (http://geni.us/TotoXIVLPAmz), CD (http://geni.us/TotoXIVRegAmz) and Deluxe Edition (http://geni.us/TotoXIVDlxAmz). The new album is a realized vision three plus decades in the making exhibiting world-class musicianship, masterful arrangements, topical lyrical commentary, and melodies that the collective genius of Lukather, Paich, Porcaro, Williams and their assembled band-mates bring to life. 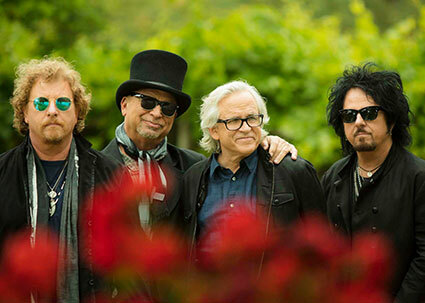 TOTO XIV is the band’s first album of new material since 2006’s Falling In Between. However, the band personally considers the new album to be the true follow-up to TOTO IV, which made the band global superstars. Keyboardist Steve Porcaro reveals, "This is opposite of going through the motions. We are treating this like it is Toto V, our follow-up to TOTO IV. We just want to be the best version of ourselves that we can be. Be true to ourselves and make the best music we can. Entertain people which is what we were put on this Earth for." Keyboardist David Paich reflects, "I think of TOTO as a unit and a band that carries a responsibility when it goes out there in to the public consciousness. There is so much negativity and darkness that I think you have to be as Quincy Jones puts it, 'beams of light that blast through the darkness'." As they began the process of a return the studio, all of the principle long-term members brought their A-game to the table. Guitarist Steve "Luke" Lukather offers, "When you put us in a room, and everybody brings in their pieces, the next thing you know it all fits together. Everybody's performances are top notch. 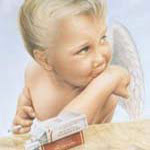 We are really bringing our best out, forcing ourselves to make personal best choices, what's best for the music. I'm really excited to hear what people think." Singer Joseph Williams adds, "We are talking about a band where everybody is a writer, and everybody is a lead singer, and everybody is a player. All involved brought this trio to the table where it could just live on its own." Founding bassist David Hungate returns to the fold, about whom Luke simply offers, "No one plays like David Hungate." Drums were performed by Keith Carlock who's commitments to Steely Dan prohibit him from participating in the 2015 World Tour. Shannon Forest will be behind the kit, who was a part of the band's 2014 North American run. Luke offers, "Shannon is a world class drummer and we are honored to have him back with us." The band will hit the ground running with an extensive European headline arena tour with appearances at key festivals. 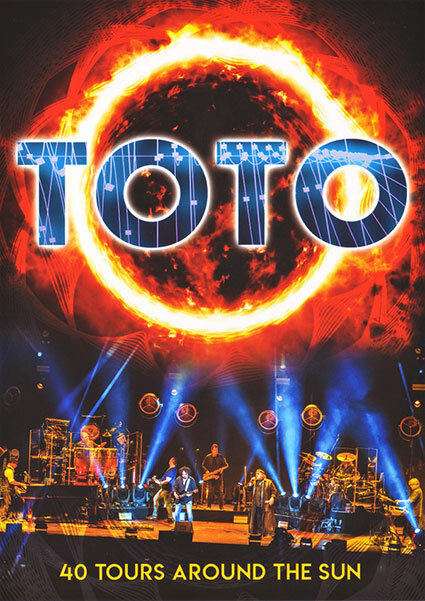 The itinerary begins in Glasgow on May 21, and takes Toto through the UK, France, Luxembourg, Netherlands, Denmark, Sweden, Norway, Germany, Switzerland, Austria, Poland, Hungary, Romania, Bulgaria, Serbia, Italy, and Belgium. Ticket sales came out of the box with strength, with some appearances selling out within days of on-sale. A North American tour will follow in the summer of 2015. The band is also in the planning stages for their return to Asia later this year. Toto also continues to raise awareness for ALS, for their brother and friend, Mike Porcaro, who has been diagnosed with ALS, Lou Gehrig's Disease. The band commits energies towards fundraising for Police and Fire Departments of California and the Fallen Heroes initiative (http://www.fallenheroes.org/), and help the United Nations in their humanitarian endeavors through music. TOTO: nuevo tema "Holy War"
El nuevo "Greatest Hits" de Toto se titula "40 Trips Around the Sun". El álbum presenta tres grabaciones inéditas: "Spanish Sea", "Alone" y "Struck By Lightning", junto con canciones clásicas recientemente remasterizadas, por Elliot Scheiner, Gavin Lurssen y su equipo. Los miembros principales de Toto, Steve Lukather, David Paich, Steve Porcaro y Joseph Williams volvieron a entrar en el estudio a principios de este año para trabajar en este lanzamiento. TOTO’s brand new Greatest Hits package is titled 40 Trips Around the Sun. The 17-track album features three previously unreleased recordings: “Spanish Sea,” “Alone” and “Struck By Lightning,” alongside newly remastered classic tracks worked on by Elliot Scheiner & Gavin Lurssen and his team. The core Toto members, Steve Lukather, David Paich, Steve Porcaro and Joseph Williams re-entered the studio earlier this year to work on this release. 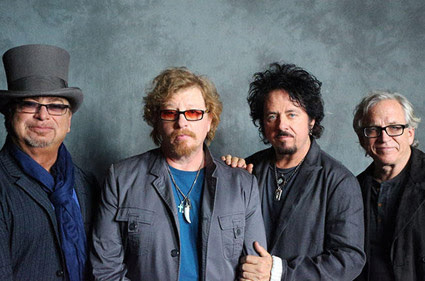 TOTO: nuevo tema "Spanish Sea"
Toto lanzará el 22 de marzo, “40 Tours around the sun”, a través de Eagle Rock. Estará disponible en: DVD, Blu-Ray, DVD y 2CD, Blu-Ray y 2CD, 3LP Vinyl, 2 CD y también en formato digital. El concierto se filmó frente a 18.000 fans el 17 de marzo de 2018 en el Ziggo Dome en Ámsterdam. 2018 was a banner year and the 40th Anniversary for TOTO who celebrated the occasion by embarking on their longest world tour in years. The band performed for hundreds of thousands of fans across Europe and North America, as their level of global critical mass reached new heights largely fueled by a rediscovery of favorites from their beloved repertoire. On March 22nd, Eagle Rock will release TOTO’s 40 Tours Around The Sun. The set will be available in multiple formats – DVD, Blu-Ray, DVD & 2CD’s, Blu-Ray & 2CD’s, 3LP Vinyl, 2 CD’s and digitally as well. The set will be available worldwide outside of North America. The North American release date will be announced in the near future. This live performance was filmed in front of a sold-out crowd exceeding 18,000 fans on March 17, 2018 at the Ziggo Dome in Amsterdam. TOTO performed a wide range of songs, including hit singles, rarely performed live deep cuts, and two recently recorded tracks which appeared on their new Greatest Hits album (40 Trips Around The Sun). Also included is the “40 Tours Featurette,” a brand new interview with band members: Steve Lukather, David Paich, Steve Porcaro and Joseph Williams. Few ensembles in the history of recorded music have individually or collectively had a larger imprint on pop culture than the members of TOTO. As individuals, the band members can be heard on an astonishing 5000 albums that together amass a sales history of a half a billion albums. Amongst these recordings, NARAS applauded the performances with more than 200 Grammy nominations. Collectively TOTO has over a billion streams worldwide on all streaming services.